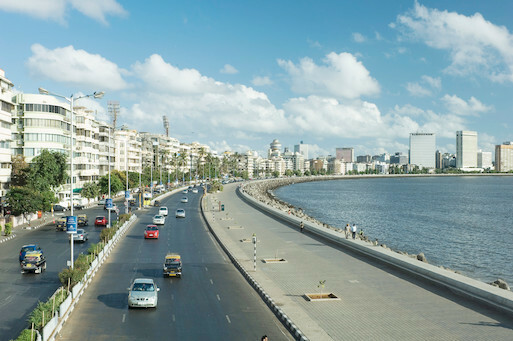 Mumbai is one of the most happening cities in the country. While this bustling metropolis has many sought-after residential districts like Bandra, Andheri, Powai and others, none is as sought-after as South Mumbai. Long before Bombay became Mumbai, long before malls and shopping centers began to crop up in the city, long before the suburbs began to buzz, South Mumbai had an enviable amount of glamour. If New York has Soho and Mid-town, if London has Mayfair and Paris has its 6th Arrondissement, Mumbai has…South Mumbai. It’s not easy to pin down the reasons behind South Mumbai’s timeless popularity and appeal. There are many factors that make combine to make this area desirable. Let’s start with the old-world appeal. Living in South Mumbai has a certain charm. The neighborhoods are posh, spacious and quiet but are still within a stone’s throw of all conveniences. The streets tend to be leafy and the main roads wider than those in the suburbs. Since auto rickshaws are not permitted, the traffic tends to be less of a headache. And then there are the educational institutions. Some of Mumbai’s most reputed schools and colleges are in the south of the city. These venerable houses have given us some of Mumbai’s most famous sons and daughters. Dhirubhai Ambani International School,Don Bosco International School and Podar College are some of the well-known institutions in South Mumbai. Let’s move onto the nightlife. Mumbai’s most iconic hotels and restaurants are South Mumbai’s landmarks. Every new club or restaurant that seeks to make an impression on the discerning Mumbaikar’s mind must first make a name for itself in South Mumbai. Foodies are spoilt for choice in South Mumbai with almost every cuisine being represented. Too lazy to go to a restaurant? Have the food of your choice home delivered. INOX, CR2, Palladium and Phoenix Mills are few of the happening places in South Mumbai. Some of the well-known restaurants include The Bombay Canteen, Farzi Cafe and The Bar Stock Exchange. Of course, let’s not forget the connectivity. Whether you want to drive to work or take off on a holiday, you are extremely well connected. The Sea Link connects you to the Western suburbs and the Eastern Freeway to Chembur and Vashi. And if you fancy a ride on Metro, there will be a station within a reasonable distance. Business districts like Parel and Worli also fall within South Mumbai. Traditionally, Mumbai’s reputed business districts have been in the South. From Nariman Point to Ballard Estate to Fort. In addition, today’s South Mumbai provides to the newly emerged business districts Lower Parel, BKC and Vashi. What about culture? South Mumbai is well-known as the cultural hub of the grand city. From museums, to auditoriums to concert venues, you have them all. South Mumbai also has some of the most prestigious clubs in the city. Radio Club, CCI, NCPA, Breach Candy clubs and the city’s oldest gymkhanas are all located in South Mumbai. And finally, what makes South Mumbai so attractive is its exclusivity. Let’s admit it, not everyone has the means to afford a living space here. Which means the people you rub shoulders with tend to be those who are the highest in the hierarchy. Industrialists and CEOs. Opinion Makers and Personalities. All said and done, life in South Mumbai offers a lifestyle that no other area in Mumbai can match. Living in this privileged part of town means that you not only have easy access to material comforts like clubs, restaurants and shopping centers, you are also part of an elite fraternity for whom luxury and accessibility are a way of life. Peninsula Land has built an enviable reputation of constructing international-quality residential buildings. This property in Sewri has 60% space reserved for recreational activities and buildings that extend 50 storeys into the sky. Celestia Spaces in South Mumbai with its spacious apartments is the ideal location if you are planning to live in a part of the city where luxury and accessibility are a way of life.